Specifically designed tools for tucking films behind soft vehicle moldings without damage and, for intricate squeegee applications. The blue (harder) FleXtreme is designed to apply film in narrow curves and edges. 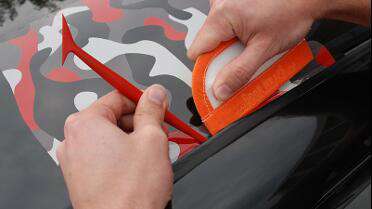 The red (softer) FleXtreme is ideal to support the application of film in narrow, concave parts of a car.